Scope: Provide matting to extend a drilling pad. 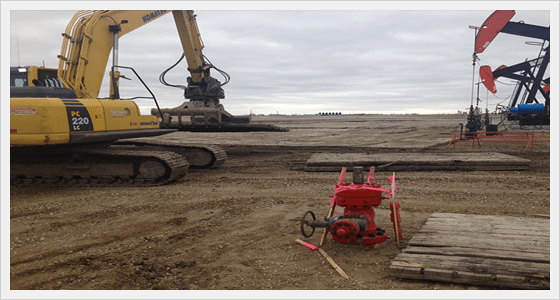 Mission: The customer wanted to extend their drilling pad and add four more wells within an existing facility on site. Results: We were able to move around 1695 mats into the Pouce Coupe field north of Grande Prairie. With our excavators and loaders we were able to safely and efficiently move the mats into existing well heads very close to the facility. The rig has since moved off the site and is now ready for Fracking and completions, Northern Mat & Bridge will continue to work through the completion. Thanks to our access capabilities they are able to drill and complete the well safely and without any down time. Scope: Install access mats to build a pad for spring break up. Mission: Lay mats to allow the customer to have access to the rig during soft conditions. Results: Northern Mat & Bridge worked throughout the night in the frost to avoid road bans and lay out the mats on the location. We supplied access mats to build a pad so the customer was able to work on the well as needed. 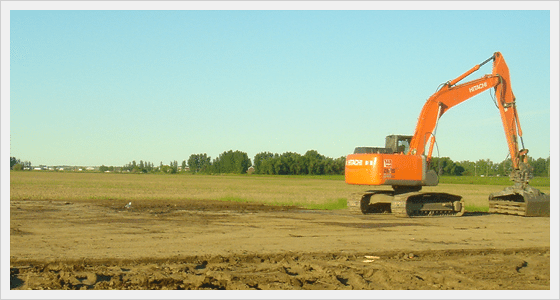 We completed the site during very soft conditions, on time, and exceeded the project requirements. Scope: Provide equipment and crew in order to move the customer owned mats as well as additional NMB rental mats. Mission: Use our experienced crews to quickly and efficiently relocate customer and NMB rental mats. Results: Northern Mat & Bridge provided additional rental mats to a customer who had a small inventory of their own mats. 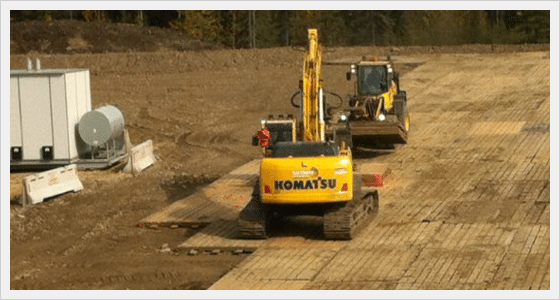 Throughout the course of the year, this company relied on Northern Mat & Bridge's skilled crews to move the mats from location to location, ensuring that the drilling, completions and production programs remained on schedule. With the help of our crews and equipment we were able to improve cost efficiencies and complete the job on time. 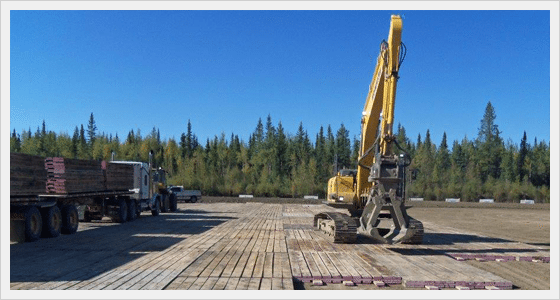 Scope: Supply matting and equipment for new drilling rig location. Mission: The exploration company planned to drill a multi-well pad on cultivated land without having to strip the top soil. Results: A complete series of wells were successfully drilled without having to strip any soil. As a result of not having to build or reclaim the lease, the exploration company incurred a huge cost savings. In addition, the landowner was extremely pleased with the timely manner in which the entire project was completed, so that he could still produce a crop in that same growing season.